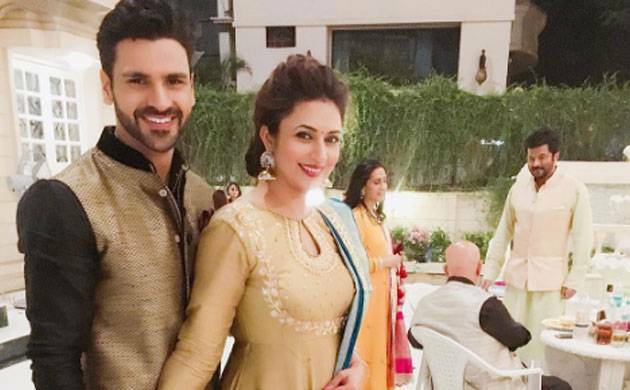 Television couple Divyanka Tripathi and Vivek Dahiya have confirmed their participation in the upcoming celeb based dance reality show 'Nach Baliye 8'. The news was confirmed by the couple itself, who are quite excited to begin contest in the show. While the news has created a buzz amongst Divyanka-Vivek's fans, they have their reason to agree for 'Nach Baliye 8'. “We decided to take up the show because not only will we get to spend more time together but also because I have heard that there is a lot of pressure and stress in a show like Nach. Hence, I feel it will be a good opportunity for the both of us to connect at various levels and go through the highs and lows together,” Mr and Mrs Dahiya told an entertainment portal. Divyanka and Vivek, who got married in July 2015, are too occupied with their professional life and often miss a chance to spend quality time with each other. The two are currently seen on Star Plus' popular daily soap. 'Yeh Hai Mohabbatein'. Talking about the same, Divyanka stated, "It's been three years since I started Yeh Hai Mohabbatein and I wanted to do something different to break the monotony. For me this is a serious dance stage and not a platform for PDA." Interestingly, this is the first time the couple will be making an on-screen appearance as a couple. While they are quite excited to try on their dancing shoes, Divyanka and Vivek have even begun their rehearsals as well. "Since I have a nagging slipped disc problem and a recent ankle fracture, we took our time to give our nod but now that we have, Vivek and I have started with the rehearsals. I can barely move, but I have to begin somewhere," Divyanka added. Apart from Divyanka and Vivek, 'Nach Baliye 8' will also have other 10 celeb couples as participants. While an official list yet to be announced, Rohan Mehra-Kanchi Singh, Monalisa-Vikrant Singh Rajpoot, Drashti Dhami-Neeraj Khemka, Arjun Bijlani-Neha Swamy, Rochelle Rao-Keith Sequeira, Dipika Kakar -Shoaib Ibrahim are rumoured to be participating in the show. According to the media reports, 'Nach Baliye 8' will also have Sonakshi Sinha as one the guests. The show will go on air later this month.